Canada isn’t second-rate or socialist. The comment only reveals how second-rate are Harper’s own political reflexes and how ignorant he is of Canadian political history. It also tellingly betrays his rolling-boil resentment of everything east of his imagination’s westerly orientation: when he says “second-rate,” or “socialist,” or “country” for that matter, he is obviously not thinking of Calgary or Fort McMurray. It’s hard to believe that Harper has anything valuable to teach us about what it means to be Canadian. His government has more citations for contempt of parliament than any previous government in the last one hundred and forty-four years. This is not sitting well with older voters who have a respect for this country’s institutions that he does not share. Frye, on the other hand, is in a position to teach Harper about conservatism and what it means in the Canadian tradition. In the Preface to The Bush Garden, for example, he observes that our “national emphasis is a conservative one, in the lower-case sense of preserving the continuity of political existence.” In this sense, Harper is not really a conservative in any meaningful way: like the Republicans, whose political operatives he hires and consults, he is a radical partisan who wishes to break our longstanding social contract of mutual support and replace it with commercial values. 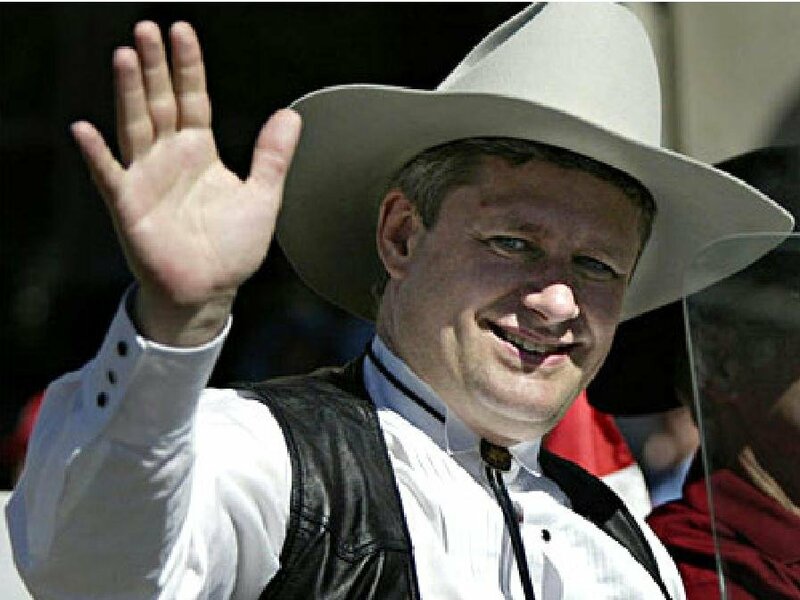 And, like the Republicans and others who pass themselves off as conservatives, Harper behaves as though the already advantaged can never have enough, while everybody else already has too much. Too much, that is, of what only a genuinely conservative commitment to citizenship can provide, such as education and health care, as well as institutions intended to operate independently of a hostile political environment, such as the CRTC and the CBC — and, of course, parliament itself. When Harper attempts to rebrand the Canadian government as the “Harper government,” he exposes who he is and what he wants. He shows little desire to preserve “the continuity of political existence” beyond personal political ambitions that always display a strangely aggressive contempt for any opposition. He appears not to understand that the permanent institution of Canadian government isn’t the same thing as the temporary presence of a “Harper government,” or that they should never be confused. That — more than Michael Ignatieff’s twenty-year-old-taken-out-of-context-private-citizen’s-opinion on the design of the Canadian flag — may be the measure of whether or not he ought to be prime minister. This entry was posted in Canada, Politics on March 19, 2011 by Michael Happy.